Thank you to all who attended the 4th annual Downtown Day in Raleigh. We were able to meet with legislators and thank them for their support of downtowns across the state. We had just over 120 attend the event. Please view the 2016-17 Downtown Impact Report by clicking here. The annual Downtown Day will be held on Halifax Mall in Raleigh on Wednesday, March 28, 2018. The purpose of Downtown Day is to honor and recognize the work that make North Carolina downtowns, big and small, better in their ability to improve our economic development capacity for our communities across the State. Downtown Day is an informal lunch social that brings together members of the legislature, downtown professionals, partners and friends. This year the event will be catered by Stamey’s Barbeque of Greensboro from 11:00 am to 1:30 pm. Official comments and program will begin at 12:15pm. Last year we had over 200 people attend the event and we expect the same this year. Also, please call ahead to your State Senator or Representative and invite them to attend. 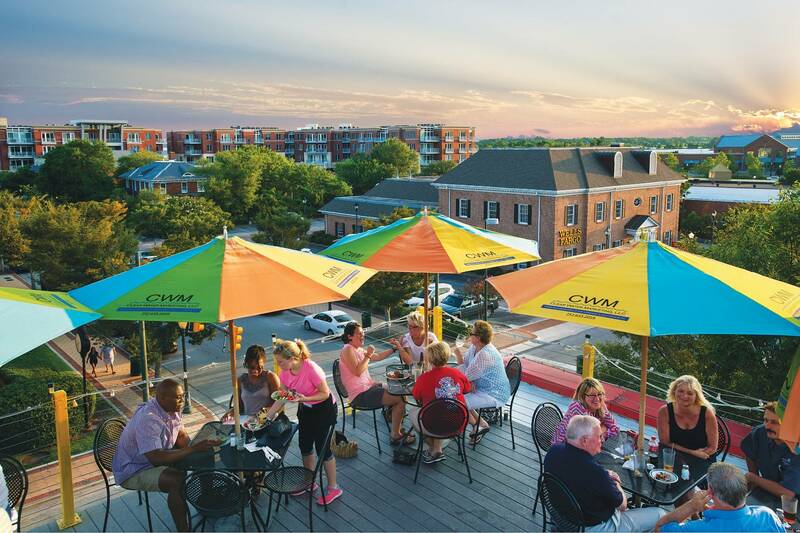 Also, consider scheduling a time to share with them about the great things happening in your community and ask for their continued support of North Carolina’s downtowns. Thank you very much for your work and dedication to North Carolina and your community! 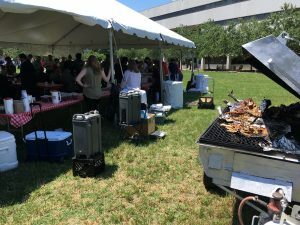 The third annual Downtown Day was a huge success this year in Raleigh. 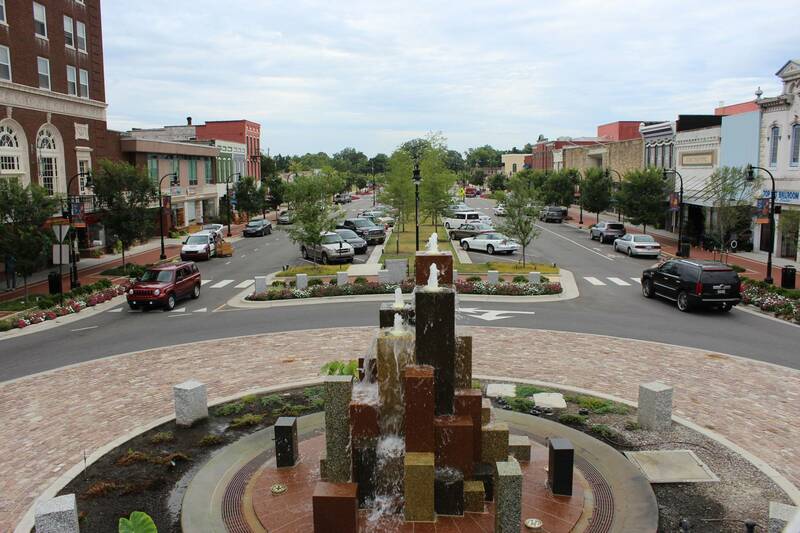 Building upon the foundation of the previous downtown days, the Board of Directors set higher aspirations for Downtown Day this year and it paid off. As many of you have heard by now, our Downtown Day event attracted well over 200 people. Wilbur’s BBQ was served on the Halifax Mall in near perfect weather conditions, which helped! 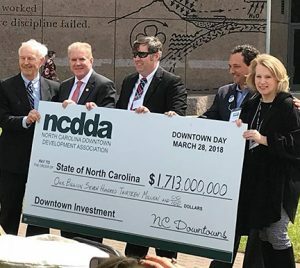 A check from NCDDA representing the annual economic impact of our downtown’s in the amount of $1.455 Billion was presented to the Lieutenant Governor, Dan Forest by Diane Young, Julie Metz and Zack Matheny. The Lieutenant Governor remarked about the importance of our downtown’s to the State’s economy followed by Representative Jon Bell, who echoed the Lieutenant Governor’s comments, sharing his personal experiences being part of downtown revitalization and growth in Goldsboro. 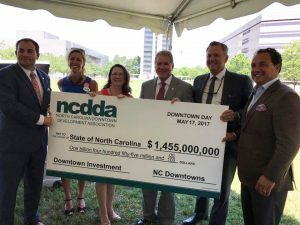 Over 97 active downtowns reported numbers for the NCDDA statewide survey that was used to calculate the $1.455 Billion annual impact. 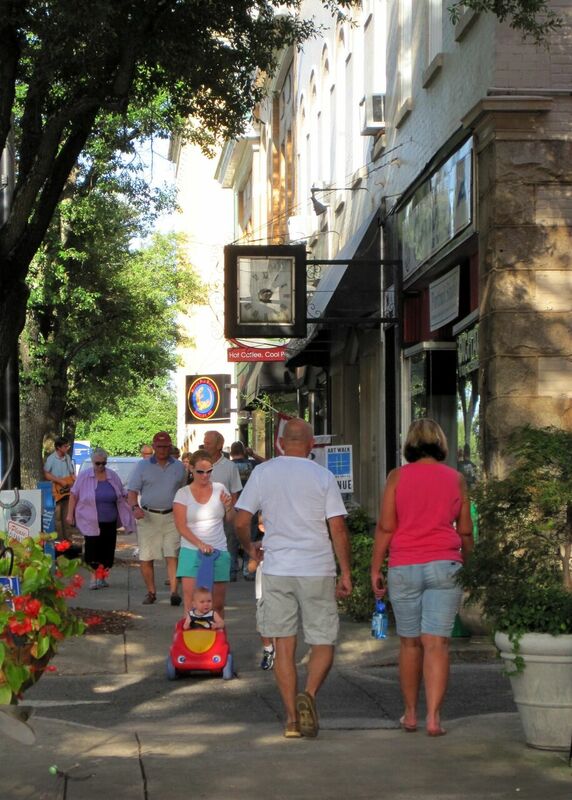 Eighty-nine of those reporting are active in the NC Main Street program. Of those participating in the survey, 8,272 jobs were created, 825 new businesses opened, 182 expansions, and 563 building renovation projects. In addition, over 422 facade renovation projects were completed. The survey included responses from cities ranging in size from 380 people to over 800,000 people. The total public investment reported was $525 Million that leverage over $930 Million in private investment for a total annual economic impact of $1.455 Billion. Thank you to all of those that participated in Downtown Day and the Statewide Survey this year. We had great representation from our membership at the event and hope for even more next year. Also, we hope you will consider participating in the statewide survey, helping us increase the numbers for the annual economic impact report. More information about Downtown Day 2018 and the survey update will be provided to the membership later this year. Downtown Day 2016 was a great success! Thanks to all of those that attended. NCDDA will hold its second annual Downtown Day with the legislature in Raleigh on May 18. In addition to the Downtown Day activities and visits with legislators, NCDDA will hold an annual meeting of the organization. The event will be located at the Parker Poe law office located in PNC Plaza, 301 Fayetteville Street, 14th Floor. Our Downtown Day/Annual Meeting keynote speaker is Daniel Douglas, AICP. Dan specializes in downtown master planning, urban revitalization, entertainment districts and sustainable economic development. Dan has prepared master plans for downtowns across the country and internationally including Raleigh, Chapel Hill and Concord, NC, Long Beach, CA, Anchorage, AK, Saudi Arabia and Morocco. 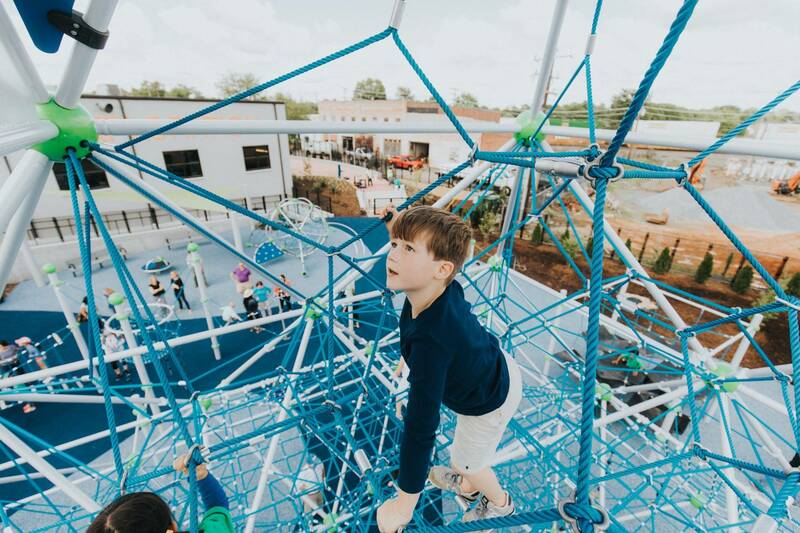 His public sector experience includes seven years with the City of Raleigh, where he founded and served as Director of the city’s Urban Design Center. While in this leadership position, Dan led the city’s downtown planning effort that leveraged over $2.5 billion dollars of private investment. In 2008, Mr. Douglas was honored as the recipient of the inaugural Downtown Advocate Award from the Downtown Raleigh Alliance. In private practice, Dan founded the Urban Planning and Design Studio at KlingStubbins Architects and led the southeast practice for the Jacobs Advance Planning Group. In recent years, Dan has focused on international urban design projects, planning large scale “new city” projects in the Kingdom of Saudi Arabia and the Kingdom of Morocco. In his current position, Dan leads the Urban Design practice at Benchmark Planning in Charlotte, NC. Dan is a 1997 graduate of Clemson University’s Master in City and Regional Planning program and a member of the American Institute of Certified Planners (AICP) since 2001. He is a sought after speaker on the topic of urban design and downtown revitalization, with frequent engagements at national and international conferences, professional seminars, educational workshops and media appearances. Dan’s projects have won numerous local, state and national awards from professional associations such as the International Downtown Association, American Planning Association, the International City/County Management Association, the American Council of Engineering Companies and the American Society of Landscape Architects.